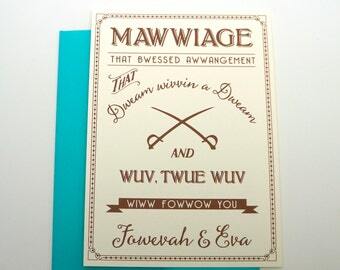 This very cute wedding rehearsal dinner invitation is a beautiful yet light hearted way to invite your guests to your wedding rehearsal and the dinner afterwards. 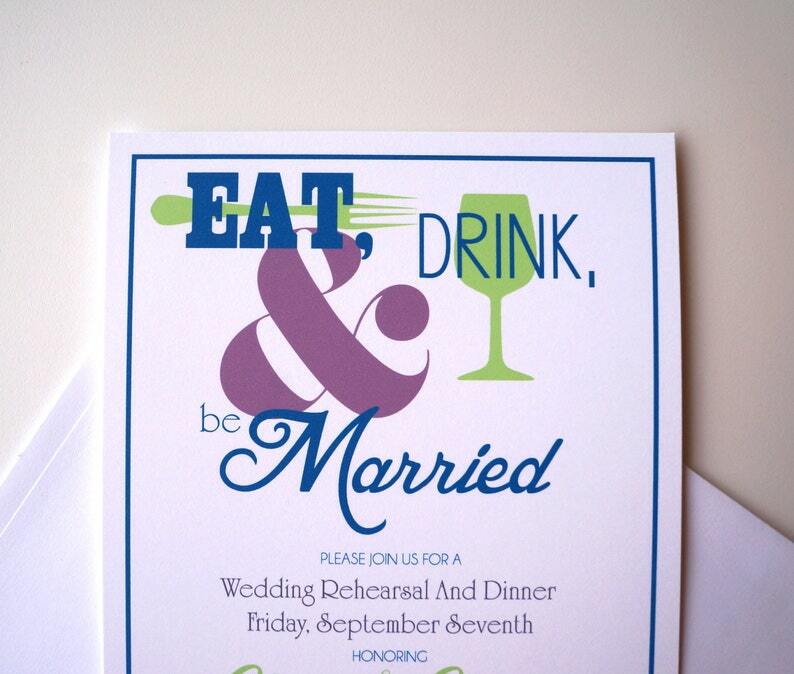 -The invitations are a high quality print on a ultra thick white 110lb card stock. -Each invitation measures 5" x 7" and comes with an envelope. Once your purchase is made, I will contact you to gather your information. A proof will then be sent out within 1-2 days. No invitations will be sent until I have your final approval. If you would like to print your custom invitations yourself, a digital file can be sent to you for $15. This includes a proof and full printing rights to your invite.